Tublay, Benguet stands to be the next premier ecotourism destination, not just in Benguet but the whole Cordillera region. 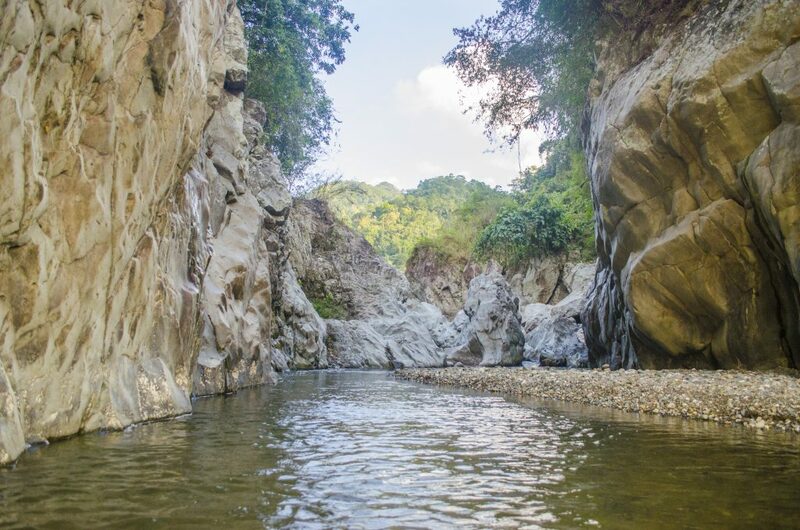 Similar to the famous Sagada of Mountain Province, Tublay also hosts numerous natural spectacles, from uncharted caves to stunning waterfalls and other tourist spots. I have been to Tublay, Benguet several times and every time I do so, I discover and experience something new. Yes. There’s just a lot to discover here. More than ever, Tublay is slowly attracting hikers/mountaineers, spelunkers, mystic seekers, and nature lovers. Thanks to the ongoing efforts of former DENR Secretary Ms. Gina Lopez, Tublay, Benguet now thrusts to the challenge of preserving the natural environment while boosting local development through ecotourism. 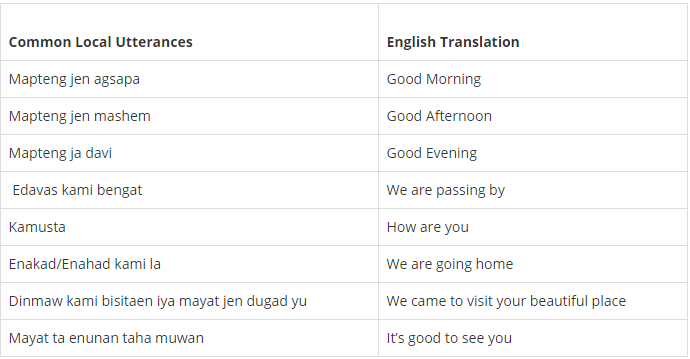 How to Get to Tublay, Benguet? The capital town of Tublay, Benguet is Acop Shilan. It is easily accessible as the Halsema National Highway traverses it. So if you are coming from Baguio City, simply take a jeep bound to Acop Shilan. These are scheduled at barangay Magsaysay, near a road leading to the Baguio Public Market. There are no fixed schedules. The jeep departs every time it is filled to capacity. From Baguio City, it takes around 20-35 minutes to reach Acop Shilan. However, the trip could take hours during peak hours and traffic jams. It is then best to go there during early morning. Most of the identified tourist spots in Tublay, Benguet are located on remote barangays. You can immediately proceed to these. However, if you want to first acquaint yourself, proceed to the municipal tourism office at Acop Shilan. There, you could ask for guidance and basic information about your preferred destinations. Without further ado, let me now walk you to the tourist spots in Tublay. 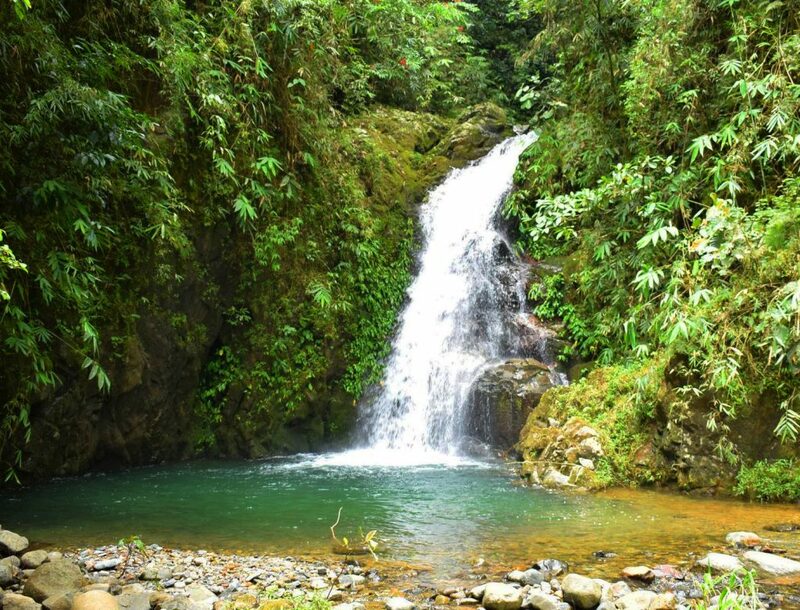 Tublay is home to several waterfalls, most of which are hidden on hard-to-reach outskirts. The most popular and accessible is Bayokbok falls in barangay Tuel. Bayokbok falls cascades on a sliding manner towards a very deep and wide pool. During good weather conditions, the pool reflects emerald-green appearance. Bare rock formations surround the pool. These are perfect spots for cliff jumping or diving. Bayokbok falls is actually a three-layered cascade, however, only the first and second drops are readily visible. To get to the third falls, one needs to climb over the first and second. Similar to the first fall, the third layer cascades on a very deep pool, crammed on two cliffs. To date, this is one of the most popular tourist spots in Tublay. 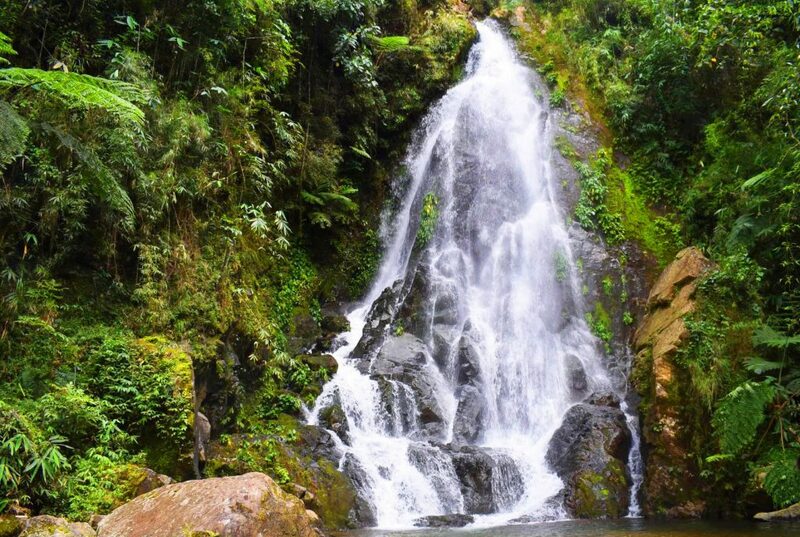 Another must-see cascade in Tublay is Shamsham falls in barangay Baayan. Of all that I’ve visited there, this is by far the highest. It descends like heavenly drizzles for more than 70 feet. It carved a shallow pool, perfect for those still learning how to swim. The best way to enjoy the falls is to position yourself on its base while its cascading waters give a rejuvenating massage. To get to the falls, one needs to hike for at least two hours from the trailhead. Initially, you will be trailing along a river. Along the way, you can pass by several, smaller waterfalls. Some of these have wider and deeper pools than the main Shamsham falls. Expect also to trek along dense forests at some points. Well, fret not, you’ll get the chance to glimpse of unique flora and fauna such as orchids, and different bird species. 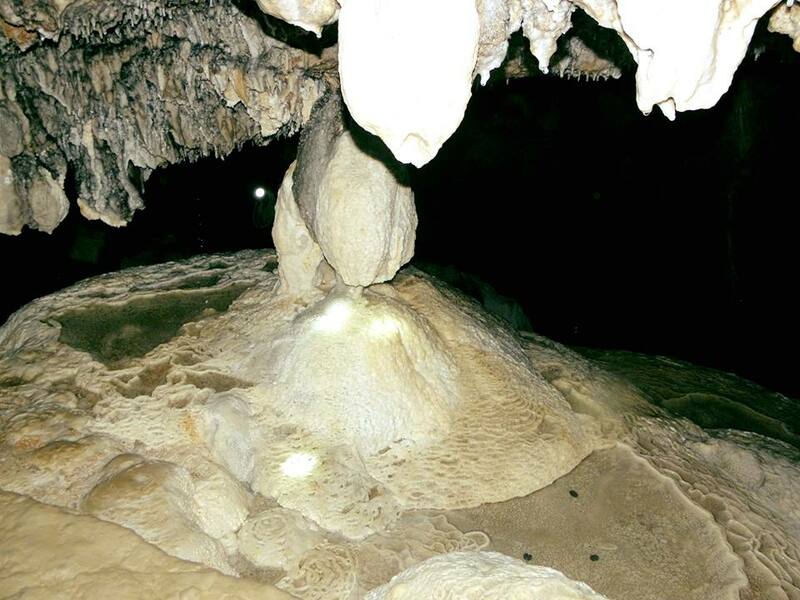 Tublay hosts two of these namely, Bengaongao Cave and Paterno Cave. Both of these are found in barangay Ambongdolan. They are just a walking distance from each other. Bengaongao cave has a huge mouth opening. This is littered with big boulders and alongside, there are beautiful rock formations. The entrance of the cave is reminiscent of a cathedral dome. 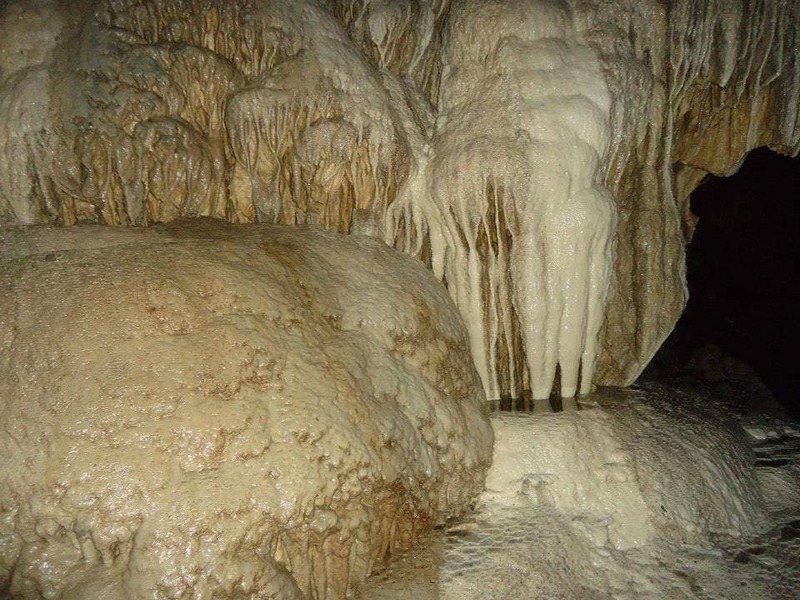 As you get deeper inside the cave, you’ll start witnessing stalactite and stalagmite formations. These project different shapes and sizes such as pillars, spires, columns, a donkey’s ear, rice terraces, and so much more. There is also a small pool inside the cave. Another interesting feature is the presence of a light shower cascading on a flower-shaped stalagmite. On the other hand, Paterno cave tends to be drier. To get inside, one literally needs to rapel on a narrow opening. The most popular sight here is a rock formation resembling an elephant’s trunk. According to the locals, the cave is named after Gen. Paterno who used the cave as a refuge from the invading American forces. Oh yes, from both caves, one can walk for some minutes towards Kettong Falls. It is a small falls, dropping from one of the cave’s opening. It literally dries up during summer. What’s interesting about it is the beautiful pool of water it created. The depth of the pool remains unmeasured up to this day. I’ll just say, it’s very, very deep. Stunning, white rock formations surround the pool. It offers a soothing relief after spelunking on Bengaongao cave and Paterno cave. 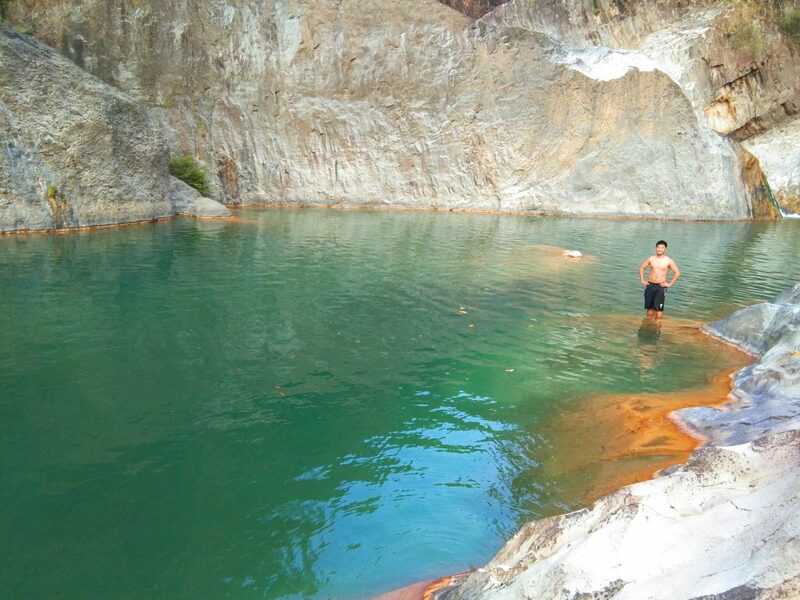 Asin Hot Spring lies in barangay Tuel, near Bayokbok falls. It is becoming a popular attraction among locals from La Trinidad and Baguio City due to its proximity. It takes less than an hour of ride to get here from said jump-off points. The thermal waters emanate from big boulders along the Tuel River. Hoses were put in place to channel these on man-made pools where visitors could relax. 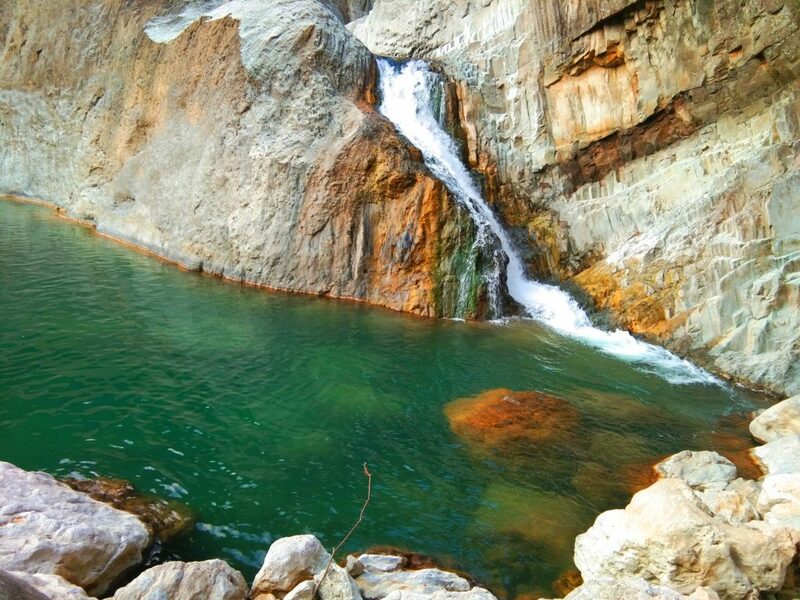 After basking on Asin Hot Spring, visitors could enjoy the cold waters of Tuel River. 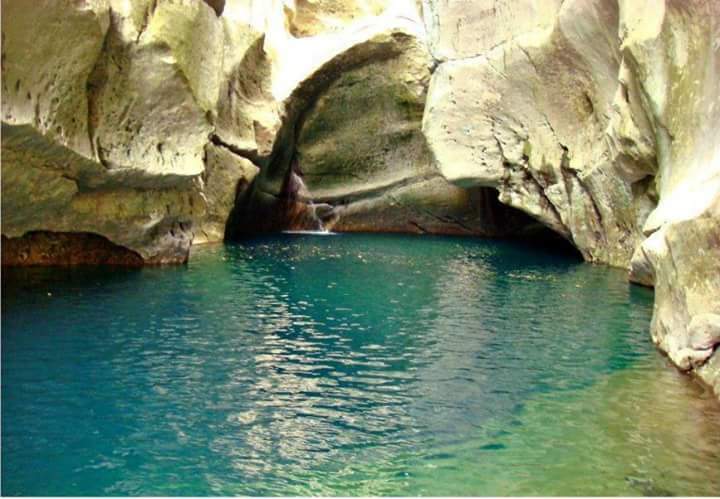 Along its length, there are natural pools, fit for swimming. White rock formations can also be seen there. If one follows the river upstream, one can find mini-waterfalls with naturally-built pools. However, if you’re not used to hiking or swimming, avail of a guide to take you there. What else to see in Tublay, Benguet? Winaca Eco-Cultural Village. This is a 38-hectare village haven, just some minutes of walk from Acop-Shilan. It provides opportunities for nature immersion, and cultural exposure. Beautiful forests cover much of the landscape. There are pine trees, tree ferns, mosses, century-old trees, and ornamentals here. Plus, you can hear the occasional chirping of birds and cricketing insects. Different activities such as hiking, zip line, cycling, and rope climbing can also be done. In addition, there are sets of indigenous houses, showcasing how the natives lived in the past. Entrance fee here is 50 pesos for adults and 30 pesos for kids. To date, this is one of the most popular tourist spots of Tublay, Benguet. Mt. Pokgong. This is a shared mountain with the municipalities of Sablan, and Kapangan. Its summit provides a panoramic view of the surrounding mountains including the low-lying plains and coastal areas of La Union. Grasses and a few shrubs cover the summit. On the lower slopes, however, patches of dense forest still thrive. These provide sanctuary for endangered wildlife species. A thrilling part of the trail to the top is the so-called Knife Edge, a narrow ridge which projects a 360 degrees view. The Habitat. The habitat showcases sustainable farming methods such as agroforestry. This was started by Dr. Michael Bengwayan, a local scientist and environmentalist. It mostly comprises of pine tree stands. Aside from common crops such as citrus and Arabica coffee, the Habitat also hosts indigenous plants. Several wildlife species such as monitor lizards, frogs, and different species of birds have been sighted in the area. Though this is a lesser known tourist spot in Tublay, Benguet, it promises opportunities for sustainable agro-tourism. Don’t ever litter. Let us help in keeping the tourist spots in Tublay clean and green. Respect community culture and protocols by refraining from acts and utterances which may be offensive. Among these include wearing of revealing clothes and public display of affection (PDA). Always secure a guide whenever necessary. If needed, inform the barangay officials of your arrival and plan to visit Tublay’s tourist spots. Pay necessary fees. That is one way for you to contribute in local development. There is no network coverage on some barangays. In addition, most barangays don’t have tourism amenities such as lodging or eatery. That is why, consult with the barangay officials for them to recommend alternatives. For other relevant details, simply ask them on the comment section below. You can also message us on our facebook page, Daniel’s Eco-Travels. I will be more than glad and willing to help you with the answers whenever I can.